3 games in 1! Jam out to all your favorite Persona music with both Persona 3: Dancing in Moonlight and Persona 5: Dancing in Starlight in an exclusive collector's box featuring character art by Shigenori Soejima. Also includes a digital download code for Persona 4: Dancing All Night for the PlayStation 4 - the only way to get P4D on PS4! - Get the Club Velvet VIP Treatment with the Persona Dancing: Endless Night Collection. 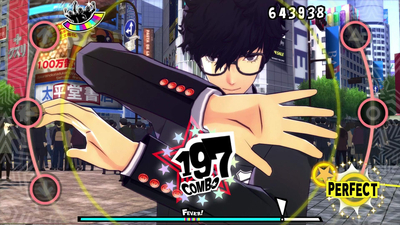 - Jam out to all your favorite Persona music with both Persona 3: Dancing in Moonlight and Persona 5: Dancing in Starlight in an exclusive collector's box featuring character art by Shigenori Soejima. - Also includes a digital download code for Persona 4: Dancing All Night for the PlayStation 4 - the only way to get P4D on PS4! 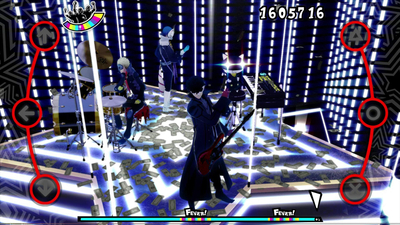 Both games suffer from the same issues of small track-lists and bizarre character-locking, but if you're a fan of Persona, you'll still end up having a hell of a lot of fun. 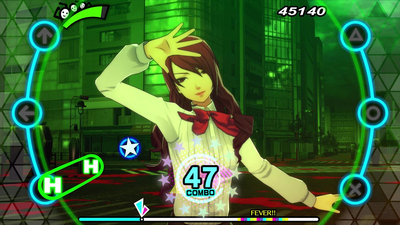 If you're aching to go dancing with your favorite Persona characters, Persona 4: Dancing All Night remains the best choice for now. If you want to listen to Persona 3 or Persona 5 songs instead, opt to borrow these games if possible instead of investing in them for now.